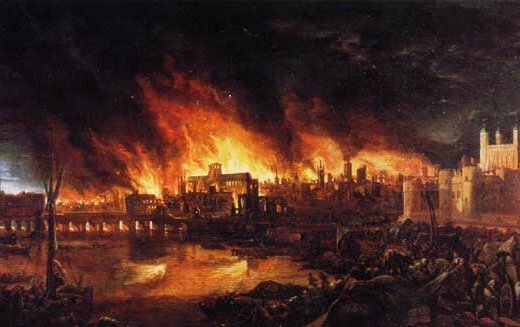 Over 70,000 Londoners were left homeless in 1666 when, in the early hours of September 2nd, a fire that began in a bakery on Pudding Lane swiftly grew to consume and devastate the entire city. It is believed that approximately 13,000 residences burnt to the ground. 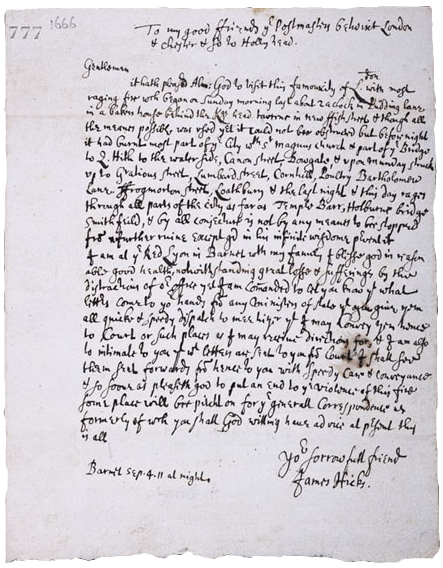 As London’s first Post Office at Cloak Lane surrendered to what we now know as the Great Fire Of London, Postmaster James Hicks quickly salvaged as much of the city’s correspondence as physically possible, and fled with his family to Barnet. Once there, still shaken, he sent this letter to his fellow Postmasters and informed them of the unfolding catastrophe.